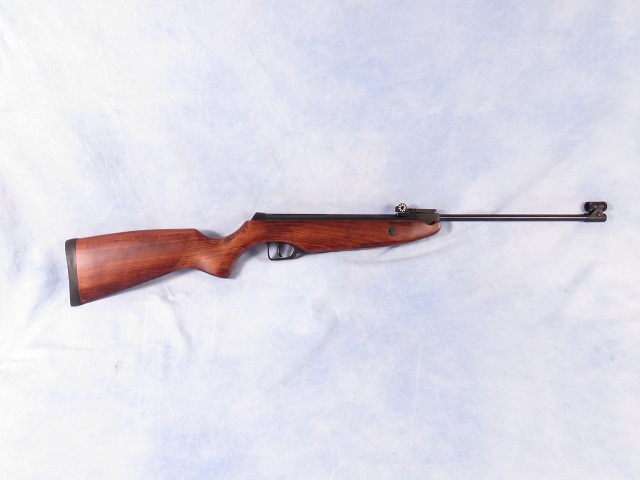 Crosman model Marksman 0035 break-open pump air rifle chambered in .177 Crossman air rifle model Marksman 0035 in .177 cal. with hardwood stock, adjustable sights and blued finish. This air rifle came to us on a trade and looks to be in super condition with only minor use and age.